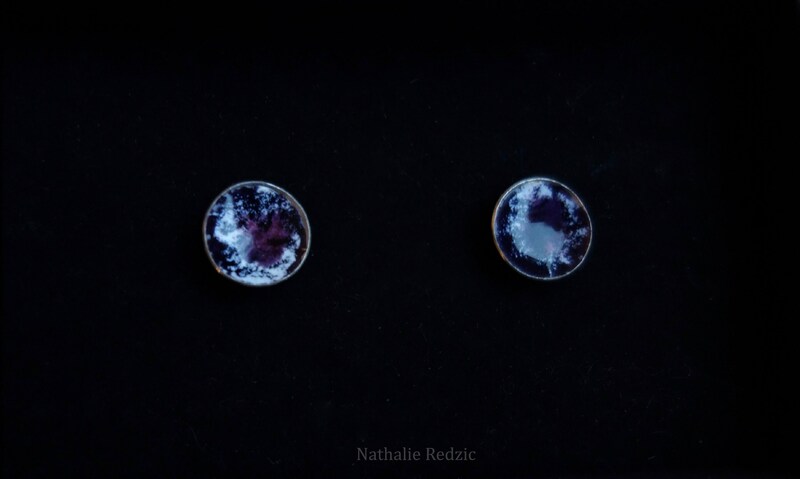 Pair of type Stud Earrings in Silver floral with purple enamel. 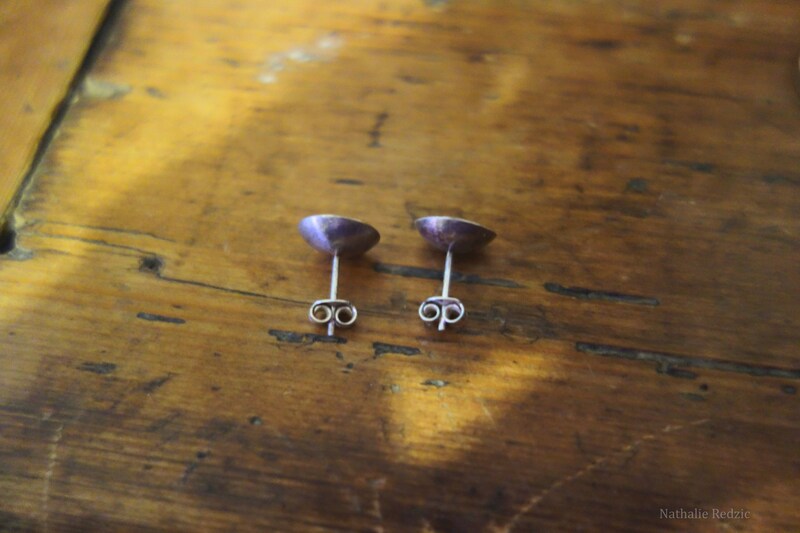 Pair of type Stud Earrings in Silver "floral" with purple enamel. 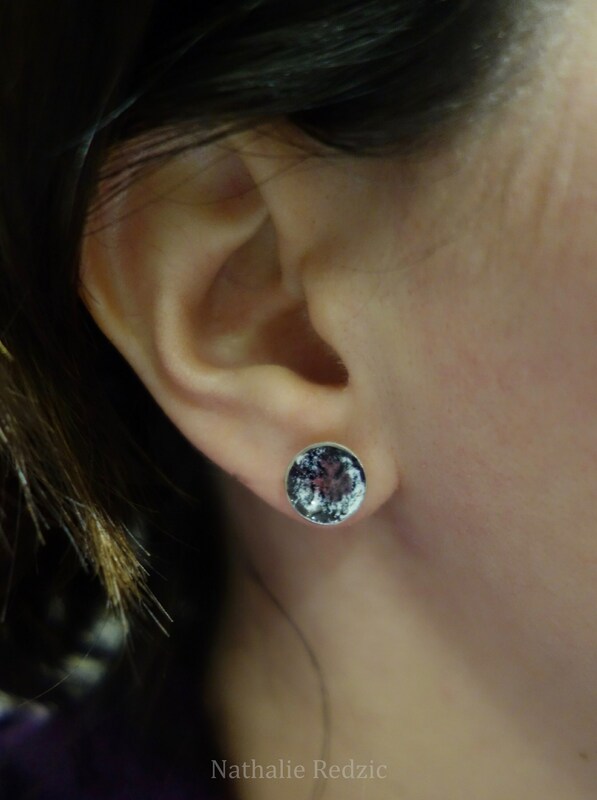 Pair of earrings in silver stud type in the shape of petals. The inside of the petals is enameled with multiple firings in purple, pink and white. The pattern may remind one of a flower. 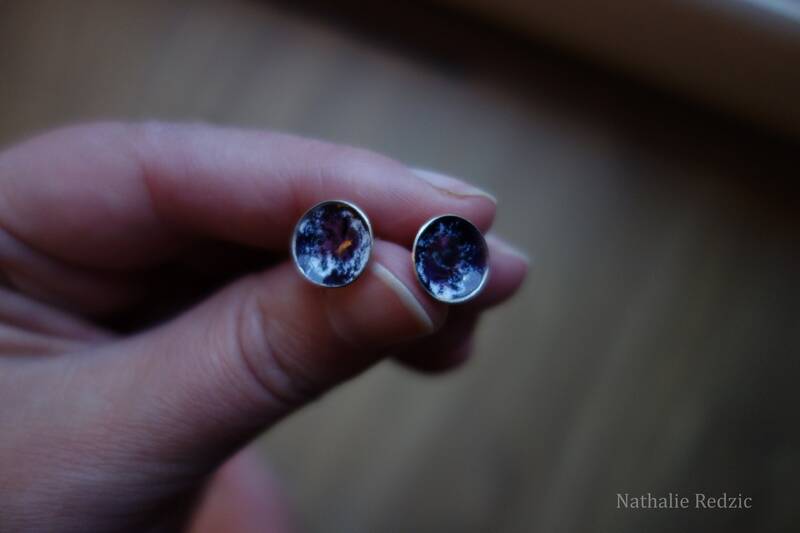 This set is made entirely by hand, patterns are slightly different. This piece is unique and crafted in my workshop in France.